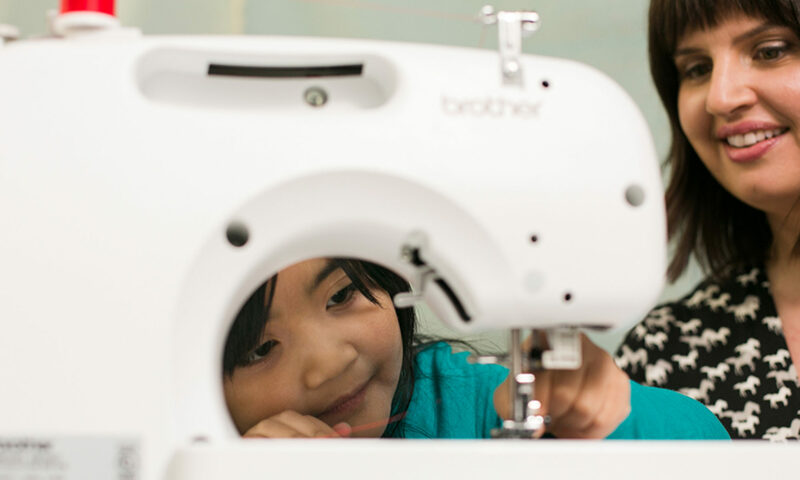 There are no monetary refunds for canceling any adult or children’s class/camp or private/duet sewing lesson. You must sign up for a class either online, in person, or by telephone BEFORE a class to be guaranteed a spot. It’s best to sign up at least a few days before the class to ensure your spot, as well as to help us properly plan for the class. Classes fill up frequently. You can always try dropping in on a class, but there may not be room for you in a class and in this case you will be turned away. M Avery Designs reserves the right to cancel a class that does not have sufficient enrollment. If this happens to a class you are signed up for, you will be notified at least 3 days before the class starts. You can choose to have the cost of the class refunded or to apply the balance of the class to your account to be used for a future class/lesson. Please let us know as soon as you can if for some reason you have to cancel or reschedule a private sewing lesson or group class. Group classes canceled at least 48 hours before the class starts can be rescheduled if there is a future occurrence of the class. Due to the hands-on nature and small size of all our classes & workshop, there is very limited space in all our classes! No shows and last minute cancellations (within 48 hour of the class) cannot reschedule. If you cancel or reschedule within 48 hours of your scheduled private/duet lesson or don’t show up, the lesson will be deducted from your package. If you show up late for your private/duet lesson, the lesson will still end at the scheduled time. If you are more than 20 minutes late for your private/duet lesson and the instructor has not heard from you and does not have another lesson following yours, the instructor will leave and your lesson will be deducted from your package. There are no refunds or rescheduling for any of the summer camp classes offered. We are not able to pro-rate any weeklong classes for non-attendance one day. When you book your private party, you pay a non-refundable deposit of $50. This means you are committing to the date and time you requested. Even if you cancel party, deposit is not refunded. Date and time changes can be made up to 2 weeks of your event date, if proposed changes are possible. Cancellations made within 1 week of your reservation date will be charged an additional $100 for loss of business. Anything left in our studio for more than 3 months (fabric, projects, sewing machines, tools, etc.) will be donated. Please note: If you purchased your class on CourseHorse, then the above Refund & Cancellation policy still applies to your purchase. If you think you are entitled to a refund, or have any questions, please visit the CourseHorse website and/or speak with their customer service team. Any questions, please don’t hesitate to contact us!